We went digging for vinyl in the Egyptian capital and curated a list of record shops worth visiting again and again. The resurrection of vinyl records is no longer news — according to Pitchfork, more than 14 million records were sold in 2018. It has surpassed a hipster trend, as all the youth began to dig in their parents’ basements for vintage vinyl, turntables and hi-fi systems, realizing the advantages and pleasures of returning to analog over digital. When it comes to records, it’s more about the warmth of the sound and the fact that it’s a tangible medium that makes audiophiles build a massive collection of their favorite records. There are some electronic genres that rely on being obscure and unavailable in the digital world, and only being pressed on vinyl, for example minimal, which keeps the genre underground. And let's be honest, you actually listen to music, and appreciate it far more when you hold it, remove the record from the sleeve, savor the artwork, and place the record on the player; it is the sum of many senses, an experience lost on digital music. While the reasons may vary from one person to another on why to start building a record collection, the industry is definitely rotating back towards vinyl, as well as cassettes, with CDs basically in the grave. We explored these stores in Cairo, and compiled a list of them that will keep any devoted digger busy. Anything you can think of is there — from the typical jazz, psychedelic and Arabic music to more obscure Pakistani film music, animal recordings, and recordings made in ancient Egyptian temples. Located in Zamalek's Metro Tower, Sherry’s originally began as an antique and collectibles shop, converting to a record store due to the rising demand for vinyl in 2010. Aside from the typical jazz, rock, and classical, Sherry's has an impressive Arabic collection, '45s and LPs alike. You can also find a myriad of Greek, Armenian, Turkish and Eastern European '45s, along with some weird old recordings such as old radio sound effects (cats, for example), which can be manipulated into a unique tool for producers to sample. In addition to their collection of records, vintage turntables, gramophones, tape recorders and other obscure gear, they also sell typewriters and analog cameras for the vintage freaks. 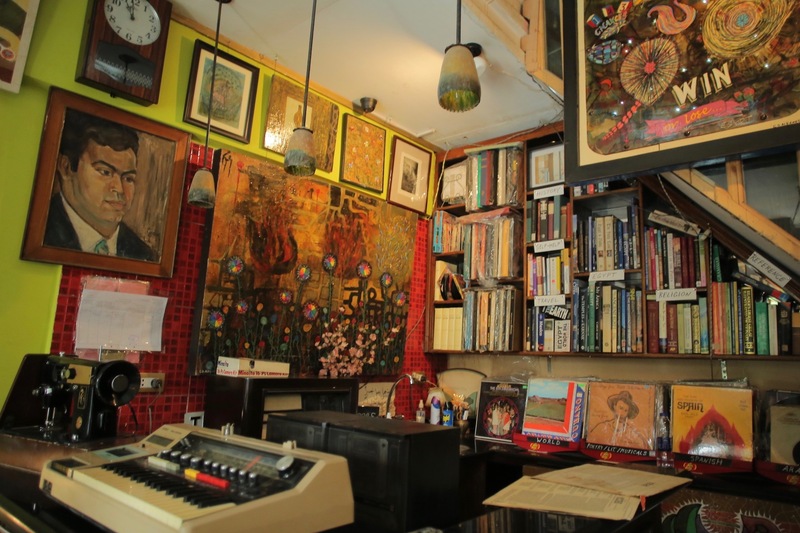 The owners are friendly, and will invite you to drink a cup of tea while getting lost in their 5000+ record collection. Address: Bahgat Ali St. Masri Towers, Ground Floor, Zamalek. 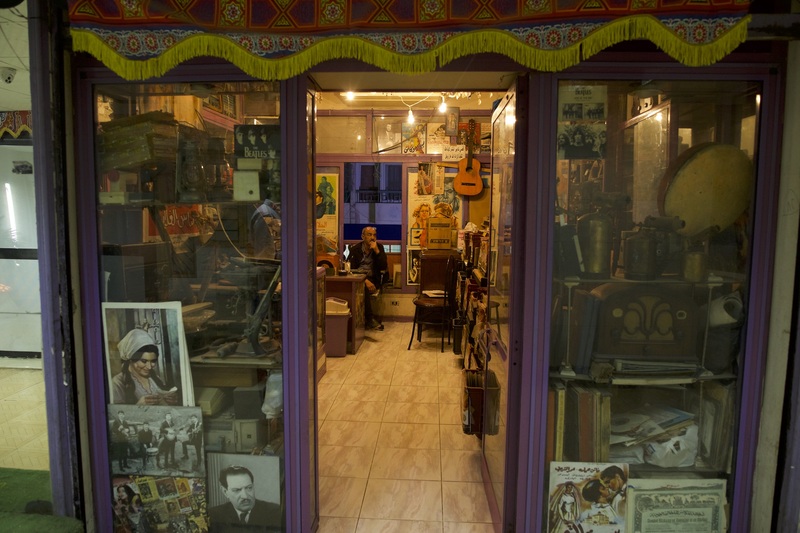 Now owned by Hamada Mazzika, who took over the store after the death of his mentor Samir Mazzika and continued his legacy, Mazzika Zaman is the oldest remaining record store in the country, opened in 1981. Located in the heart of Zamalek on the third floor of the Metro Tower (just above Sherry's), the shop is sitting on a collection that surpasses the 25,000 record benchmark, and covers a wide array of sounds and genres from Arabic music to rock, jazz, blues, soul, funk, R&B, folk, country, classical music, and even voice notes people used to mail to each other. Although some of the records show the wear of time, most are in good shape, and there's something to be found for everyone. This is the go to place for Jannis Stürtz aka Habibi Funk to dig for Middle Eastern funk and disco '45s. They also sell gramophones, tape recorders, old newspapers and vintage movie posters. Other than this, Mazzika Zaman also rents vintage costumes and cinema decoration as props for TV production. Think of a record store where you can go shop for records or just relax on the sofa. Owned by Clint, an American expat who discovered his love for Egypt after he came to teach art here, Analogue is a cozy boutique record store located in Zamalek, and is owned by Engineer Farid of Ion Electronics, Egypt’s leading vintage analog stereo equipment repair shop. The shopping experience there is unique, as it offers not only a less dusty record shopping experience, consisting of pristine condition vinyl and tapes, but also a diverse collection of books and artwork - Clint himself is a talented painter. Expect jazz, blues, soul, funk, r&b, rock, pop, folk, country, classical, international music, and even some local artists. Also, if you’re a vintage stereo equipment fanatic, this is the place to go, as they sell a versatile collection of refurbished hifi stereo equipment — turntables, amplifiers, speakers, and tuners. Address: 33 Ahmed Heshmat Street, Zamalek. 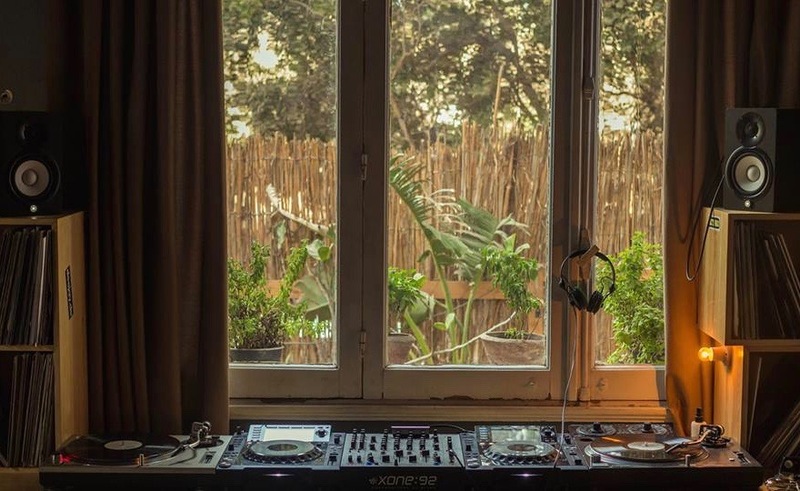 Sakanat studio and record store began to cater to Egypt’s blossoming electronic music DJs niche, late in 2017. Now owned by two of Egypt’s veteran DJs, Mazen, Aroussi, and their friend Karim El Sherbini, the store is located in Maadi's hip multi-use space, Bardo Clubhouse. Inside, you can expect anything ‘underground’ that goes from minimal to house and disco to techno — basically anything that a DJ needs to shake up a dance floor. In addition to the record store, the artsy space gives vinyl DJ courses tutored by Egypt’s veteran Ahmed Samy. They also rent the studio to artists in order to play vinyl. Basically, heaven for any underground electronic music freak. Address: Building 2 road 12, Maadi, inside Bardo Clubhouse. Another record shop located in the Metro Tower in Zamalek. Opened in January 2013, the store heavily relies on reselling unique used records, that feature everything from Pakistani film music, to Latin, jazz, classical, and a plethora of Arabic music. They also sell antiques and used turntables and gramophones. Kan Zaman was the store of choice for Boiler Room to shoot an in-store session with French DJ and record dealer, Victor Kiswell. One of the few records stores located in Maadi, Flex Music was opened in 1999 by Sherif Cassis after he took over from his partner who was struggling to keep the store afloat. Currently tucked away inside Kahwa Khan Café, Flex Music houses a vast collection of CDs and over 2000 records, the highlight of which are a collection of original first pressings from The Beatles and Pink Floyd. The shop also specialized in vintage guitars and guitar pedals, and also hosts monthly listening sessions aimed at creating an exchange between vinyl enthusiasts. Address: 45, Road , Maadi.